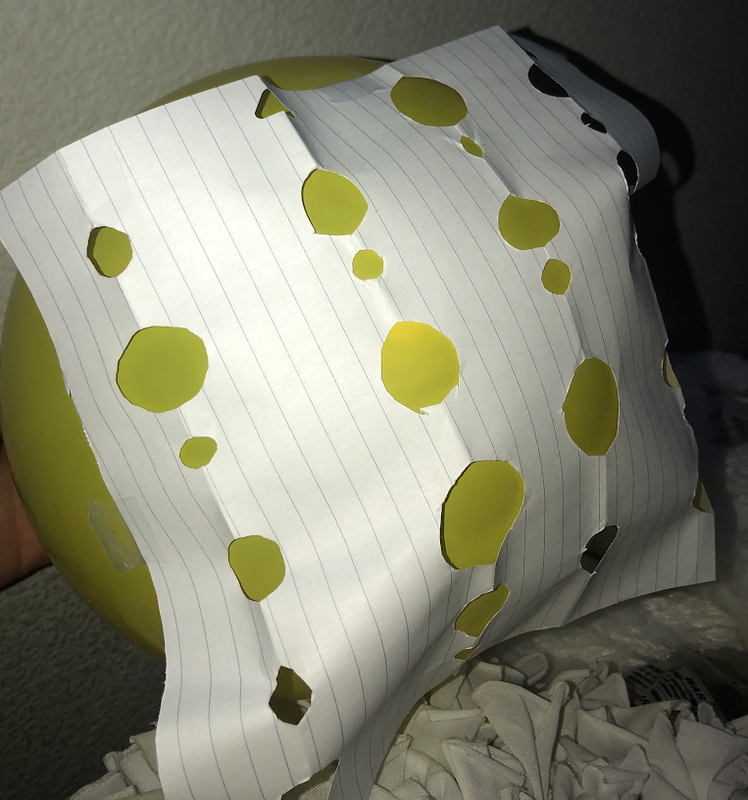 I blew up a balloon and cut out circles from a piece of paper. I then taped the paper to the balloon and turned off the lights, as I shined a flashlight on the balloon and paper. The balloon was angled at the wall, the the circles on the paper showed on the wall.